Plastics, along with many other human-made objects, have life spans that far exceed their usefulness. Because they take so long to break down, plastics will at some point become a layer in the geologic strata that may be seen as a marker horizon of the Anthropocene (the proposed name for the geologic era defined by human impact on the world). Imagining the point at which plastics become a fossil layer depends upon speculation – this is a future that none of us currently on earth will see, and the pathways to that future are infinite. Created by second-year SASAH students, this exhibition foregrounds creative responses to objects that could be found in A Museum for Future Fossils. 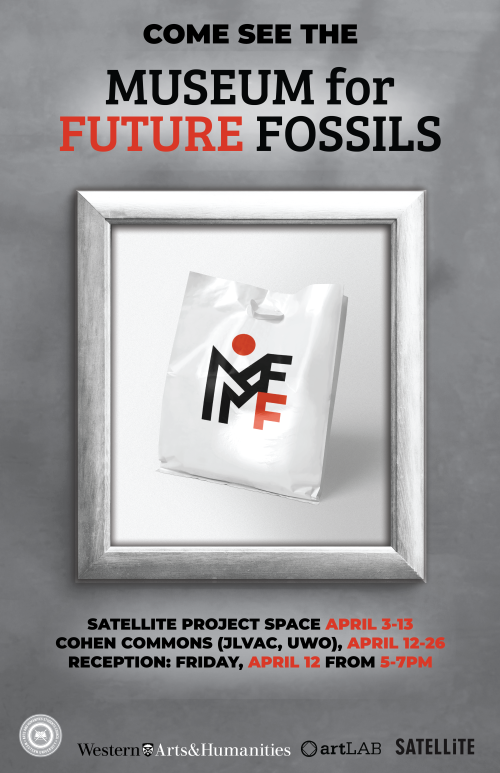 A Museum for Future Fossils will be on display at Satellite Project Space from April 3-13 and Cohen Commons (JLVAC, UWO) from April 12-April 26. 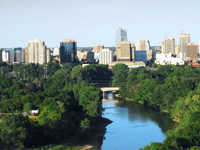 Please join us for a reception at both locations on April 12, 5-7pm. A free bus will leave the JLVAC for Satellite at 6 pm on April 12th. All are welcome.